Custom home, built by Sterling Builders is beautiful! 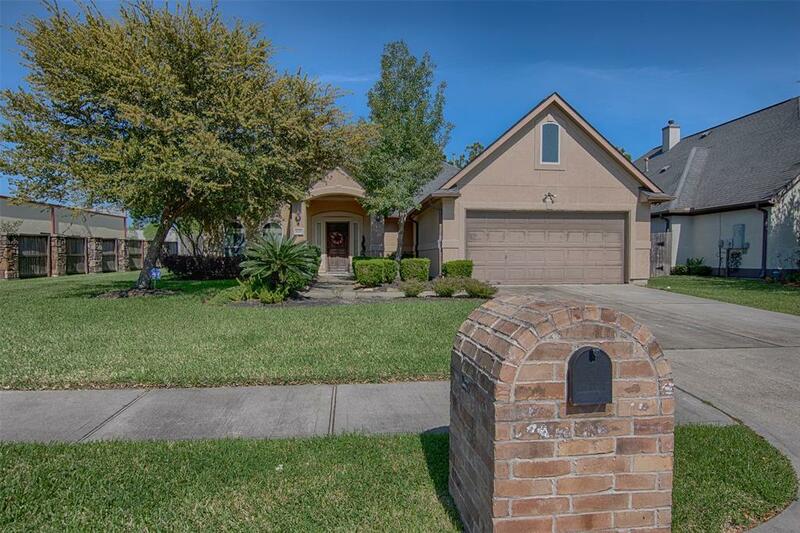 This spacious home has beautiful entry with wood flooring that extends through the family room and formal dining and a gorgeous panel molding wall. The family room has a beautiful striped accent wall, built-in shelves and cabinetry, tray ceiling and a gorgeous fireplace! The kitchen boasts stainless steel appliances, granite countertops, a breakfast bar and a walk-in pantry. The master suite has a beautiful tray ceiling, big windows & a large master bath with jetted tub and huge, tiled shower! The secondary bedrooms are spacious and separate from the master. 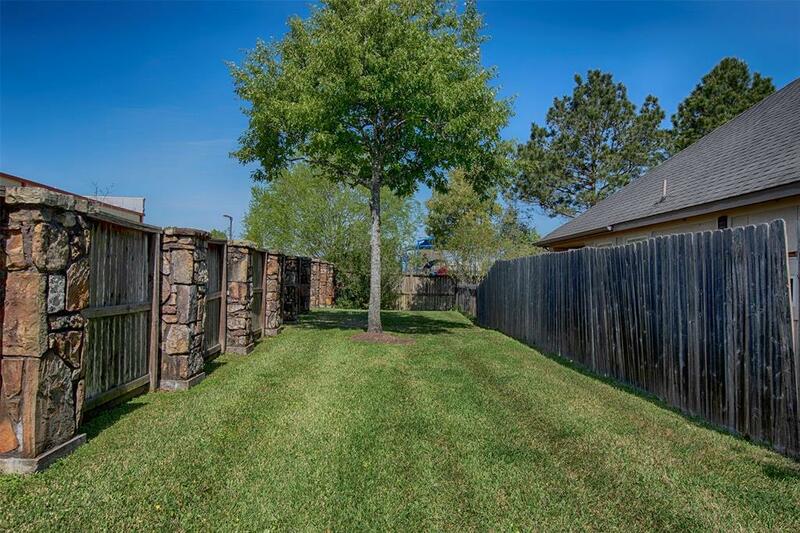 Enjoy time on the covered patio that features slate tile, 2 ceiling fans and NO back neighbors! 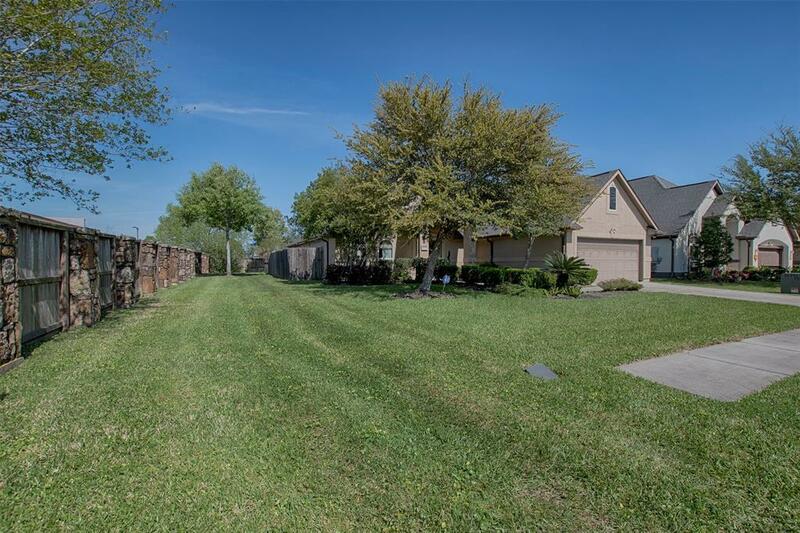 This beautiful subdivision includes 2 tennis courts, a pool, parks & ponds! 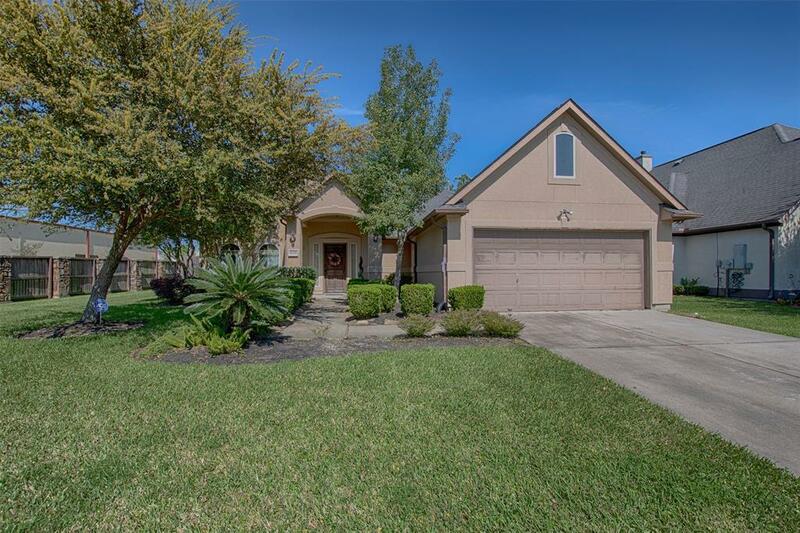 Zoned to Friendswood ISD and close to shopping, restaurants and walking distance to day care! No Flooding!